War as a tool to consolidate executive power is an old theme. Still, I was taken by surprise by a couple of passages I read yesterday in Gordon Wood’s review of four books on the War of 1812 and James Madison in the current New York Review of Books. 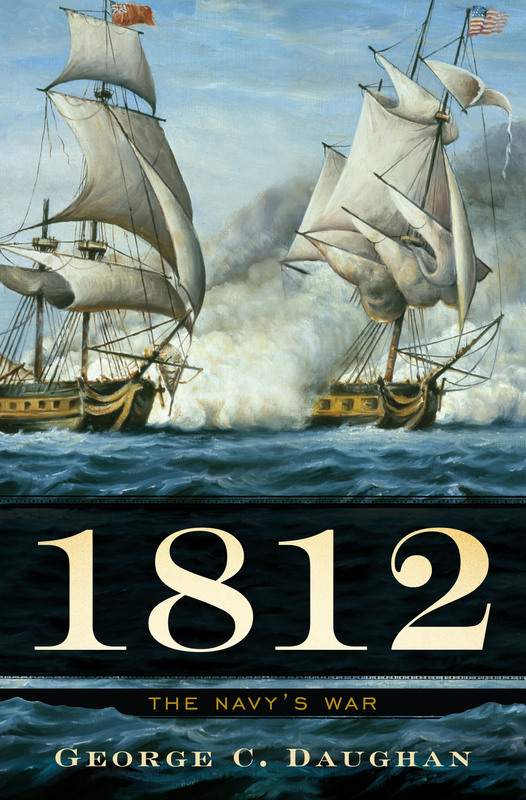 (One of the four, George Daughan’s 1812: The Navy’s War, is featured above.) Somehow, there’s never-ending novelty in the news that there’s nothing new under the sun. But in one important respect President Madison redeemed himself. Throughout all the administrative confusion, throughout all the military failures, throughout all the treasonous actions of the Federalists, Madison remained calm in the conviction that in a republic strong executive leadership—the leadership of a Napoleon or a Hamilton—could only endanger the principles for which the war was fought. Unlike the Federalists who during the Quasi-War with France in 1798 had passed the harsh Alien and Sedition Acts to suppress the opposition, President Madison, as one admirer noted, had withstood both a powerful foreign enemy and widespread domestic opposition “without one trial for treason, or even one prosecution for libel.” No subsequent American president has ever been able to constrain the growth of executive power in wartime as much as he did. Let’s go back to school for a minute. Remember learning that the United States had three separate branches of government and a system of checks and balances to prevent any one branch from becoming too powerful? Congress could make laws; the president could veto them and propose other laws; Congress could override the president’s veto, control the purse strings and had the sole power to declare war while the president served as commander-in-chief; members of the Supreme Court – nominated by the president and approved by the Senate — could declare a law unconstitutional. This fragmentation of power was seen at the time the Constitution was drafted as the best way to guard against tyranny and protect liberty. It’s worth pondering what is left of this system in the post 9/11 world where President Obama has embraced and further enlarged the radical assertion of executive authority handed to him by the Bush Administration. Has there been any serious attempt by Congress to check rapidly expanding presidential power? No. However bent the Republicans might be on denying President Obama any domestic accomplishments, Congress has largely closed ranks behind a “let the executive branch do it” national security agenda.